In celebration and preparation of Halloween, I decided to do my take on a Halloween tutorial creating an evil mermaid look. It's very easy and you can achieve it by using only make-up, so in case you're stuck for ideas, maybe you'll try this one out. Don't forget to check my YouTube channel and subscribe. Girl, I need to recreate this! Oh very great makeup darling! I really love it! That's so cool! I love it! Whoah! This is so entertaining! I have to try this on our Halloween party! What a great tutorial! I love focusing on makeup instead of a costume on Halloween! I really love it. You're very talented. Cool costume idea! I haven't even had chance to think about a Halloween costume this year. Thanks for the idea! You look amazing! Love the style. Hi, I'm Bella! 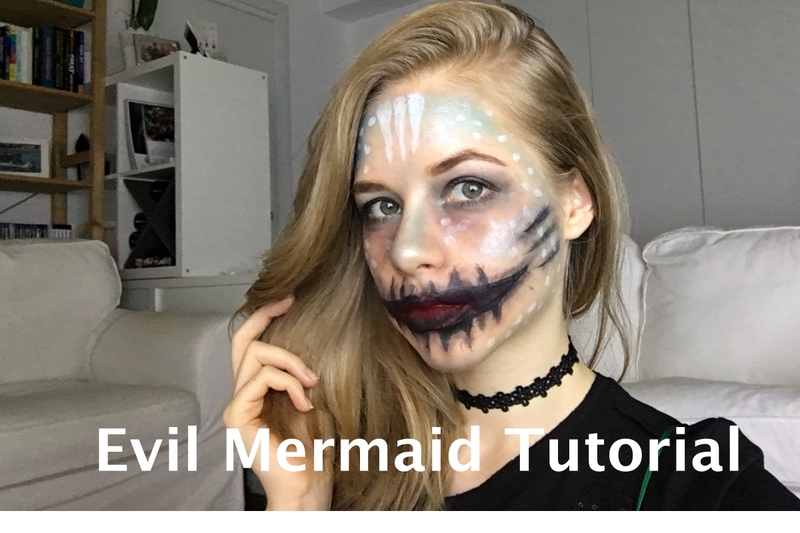 I saw your video, and I like so much your tutorial of Evil Mermaid. You're very good on this! This is such amazing makeup for halloween! Have a great weekend. Such a interesting look! Very AHS! Wow I really love this make up! Amazing! I love that you're doing a makeup tutorial too! Yes, it's for Halloween but still so much better than what I can do. So amazing! Have a great weekend! I'm so in love with this tutorial! The make-up looks great! It's really creative and something different to the basic looks! Love your tutorial! Thanks for commenting on my blog and hope to hear from you soon!